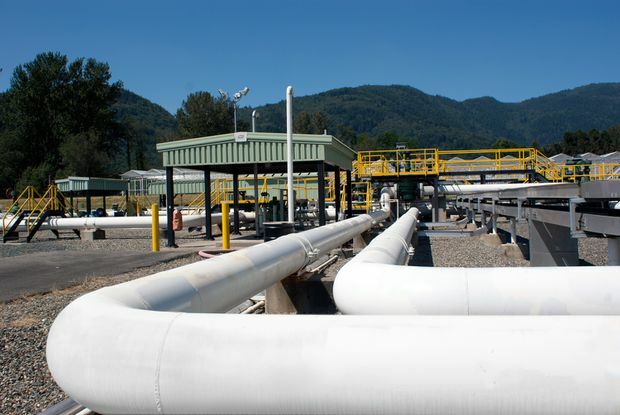 This column is part of a debate in which business writers Andrew Willis and Barrie McKenna make the case for and against Ottawa’s purchase of the Trans Mountain pipeline. For a generation of Western Canadians, the Trudeau name was a word to be uttered in disgust. The next generation will speak Prime Minister Justin Trudeau’s name with reverence, I fearlessly predict. Played right, the federal Liberal government will build a better Canada out of its $4.5-billion-and-counting investment in the Trans Mountain pipeline and bank a tidy profit for taxpayers along the way. The current Prime Minister’s father alienated the West with a 1980s national energy program that shifted oil wealth from Alberta to other parts of Canada. Delivering the long-promised expansion of the Trans Mountain pipeline would let Mr. Trudeau do the opposite: Linking Alberta’s oil sands to an ocean terminal opens up new markets for exported Canadian crude, almost all of which goes to the United States now. Selling our oil to Asian buyers should narrow the gap between posted prices, around US$66 a barrel, and what domestic producers get paid for a barrel of Western Canada Select, currently US$40. That gap, which is the largest it has been in four years, is nothing short of a national crisis. Eliminate even a portion of the discount and you put billions into Canadian wallets each year. How can you not get behind that goal? Right now, Canadian oil producers are at the mercy of U.S. refiners − the pipelines flow south only. Sending more tankers out of Vancouver harbour doubles the number of customers for Canadian oil. BP and Exxon Mobile recently published surveys that forecast China’s demand for oil will rise significantly over the next two decades, as coal plants are retired, and more than 70 per cent of that oil will be imported. The Trans Mountain pipeline’s Sumas pump station. Let’s be clear: Turning the Trans Mountain expansion project into a winner, financially and politically, is going to take work. The job starts with the Prime Minister using his charm and environmental credibility to sell the public on the merits of the project. That may seem a difficult task now, but over time, the public will come around to the logic of using the massive wealth locked up in Alberta’s oil sands to help pay for the country’s transformation to an economy based on other sources of energy, such as renewable power. Give the people of Canada credit − they will buy Mr. Trudeau’s somewhat-subtle argument. Governments used the same approach to persuade the public that smoking kills, so we should tax the heck out of cigarettes to raise money for health care. Cigarettes, in an odd way, can help the fight against cancer. Oil pipelines can help fund a longer-term battle against climate change. Mr. Trudeau took control of the Trans Mountain project because, at this stage, only a government can complete it. The rapid exit of its original owner, the energy infrastructure company Kinder Morgan, shows that no private business is willing to shoulder the commercial risks that come with seemingly endless litigation from B.C.’s NDP government in an attempt to block the project, and the optics of slapping handcuffs on pipeline protesters. The federal Liberals can take down those barriers, one by one. Court hearings should clear the legal roadblocks thrown up by B.C. Premier John Horgan. Our constitution is crystal clear on the federal government’s jurisdiction. Additional funding for coastal protection, already in the works, will ease environmental concerns. Protests may take on a different tone if Ottawa invites First Nations groups to become part-owners of Trans Mountain. This week, 10 Métis and First Nations groups from Alberta’s Athabasca region went public with their interest in being partners on the project. The Prime Minister should sign them up. Vancouver Island is dotted with run-of-river renewable power projects managed and partly owned by nearby First Nations. The projects initially faced strong resistance from anglers, who were concerned that fly fishing might suffer when rivers were tapped. The protests fell away when First Nations made their case for the short- and long-term benefits of building and owning energy infrastructure. And Mr. Trudeau can put shovels in the ground on Trans Mountain knowing that if he builds it, buyers will come. It is impossible to understate investor appetite for large, cash-generating businesses in stable jurisdictions. Remember, this project already includes a working pipeline that spits out more than $200-million of operating income a year. For a sense of who might show up once the Trans Mountain expansion is completed, consider what happened when Alberta’s electrical grid was put up for sale four years ago. An arm of Warren Buffett’s Berkshire Hathaway dropped $3.2-billion to grab the prize. Mr. Buffett, known as a frugal investor, paid a far higher price for Alberta infrastructure than anyone expected. The squabbles over Trans Mountain are far from over. Opposition parties are going to beat the Liberals over the head with this decision through the next federal election. Hollywood’s finest will doubtless join the protesters in Burnaby; this will become a battle of wills between the Prime Minister and Daryl Hannah. Mr. Trudeau is showing considerable courage by stepping up to complete this project. There will be a political cost, but the economics make sense. Getting a better price for Canadian crude will fuel economic growth. Pushing the project through protests and political opposition will translate into winning more investment in other ways. Eventually, there will be a bidding war for this pipeline and Ottawa will get out with its money intact, at worst. Western Canadians will look on this generation of the Trudeau family with far more affection than the last.